Injectable fillers refer to the soft tissue filler. The specific material is injected into the skin to reduce wrinkles and providing you rejuvenated appearance. The effects of these fillers remain for a specific time period and you need to get them again to maintain the results. 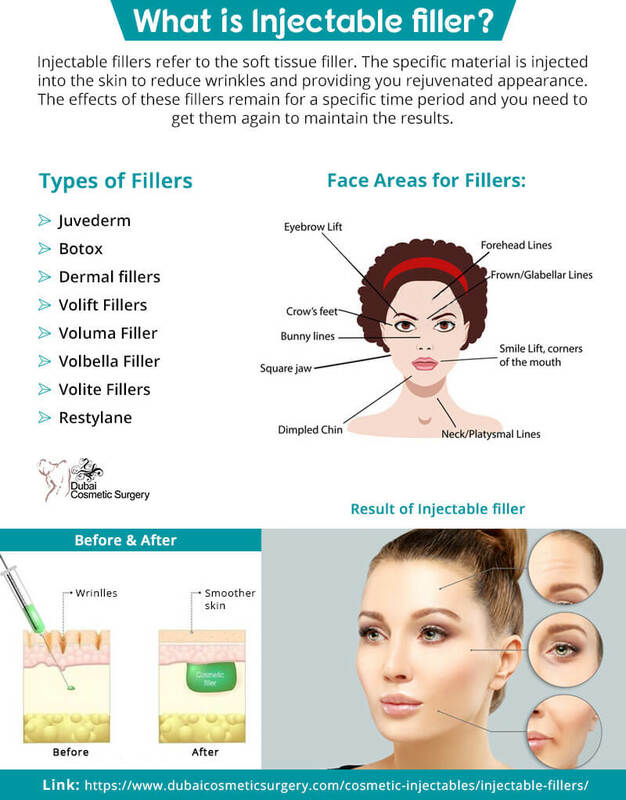 The Following face areas for Filler Injection!